I have never created an Easter card before, and was a bit lost about what to do for this Practical Scrapper's feature, until this Easter egg chipboard banner came with my scrap-room kit. Isn't it yummy? I used glitter and clear embossing powder, a tip I read in this month's Scrapbook Trends magazine and I found really helpful, as the glitter sticks perfectly and you don't find scattered glitter every time you open the envelope! 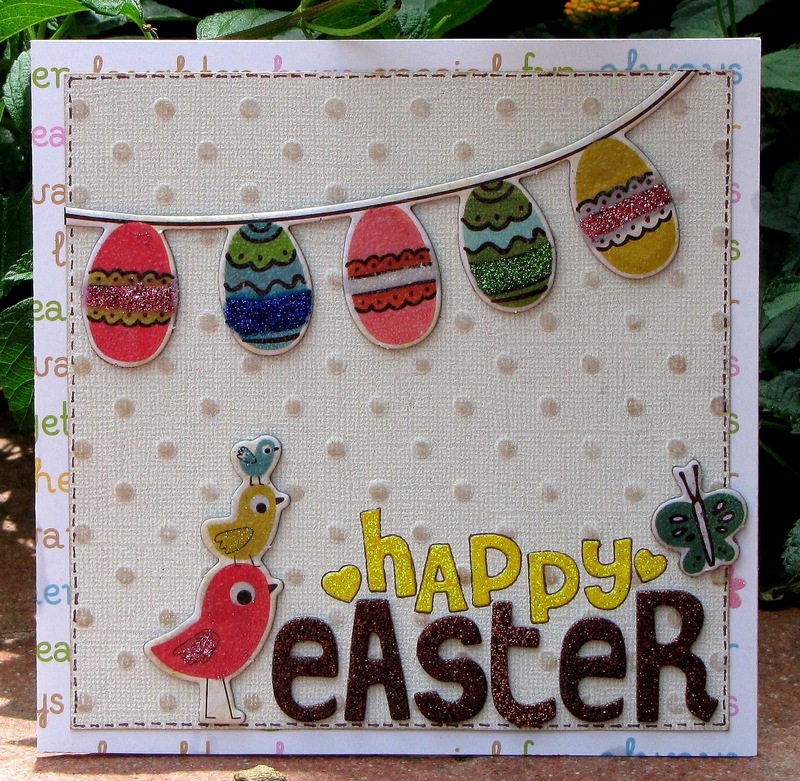 Cute, Cute, love the little egg banner... and the glitter adds so much!! Hugs! !